My mom and I made our annual summer trip to the beach, heading once again to the beautiful Hilton Head Island. You can see last years trip recap HERE. 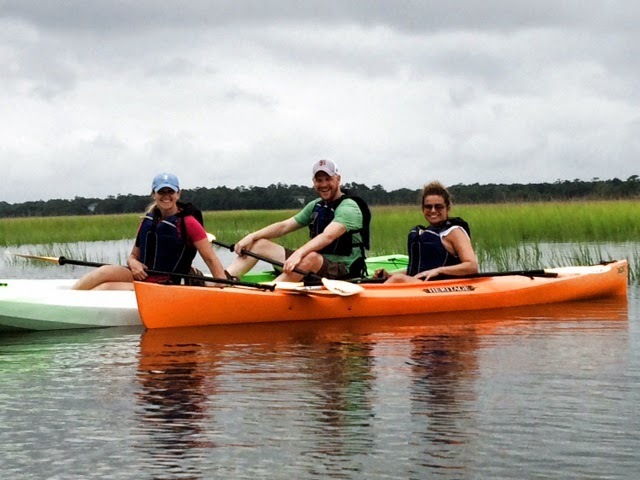 If you're unfamiliar with the splendors of Hilton Head, picture beautiful Spanish moss hanging off lush trees, picture perfect beaches and a family environment. Every year I go I love it even more! 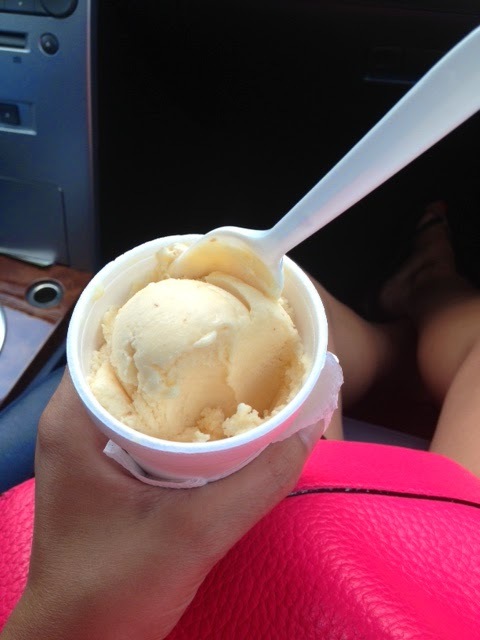 Another reason I love it (besides spending quality time with my mom) is that there is great food on the island! 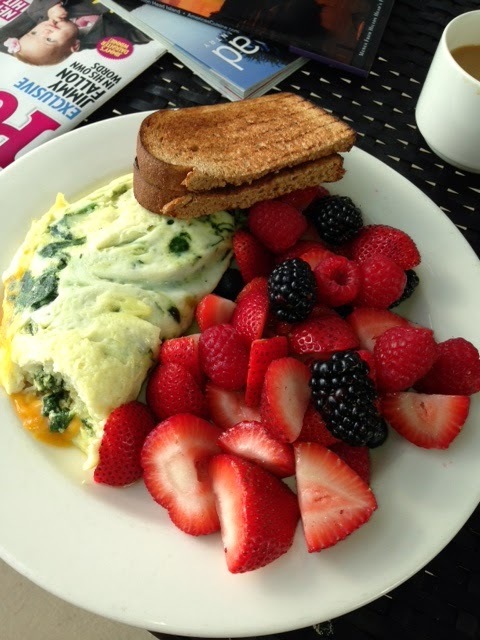 We stayed at the lovely Westin this year and it was a gorgeous hotel that had great hotel food. Exhibit A, delicious room service breakfast. Seriously, stay at the Westin. 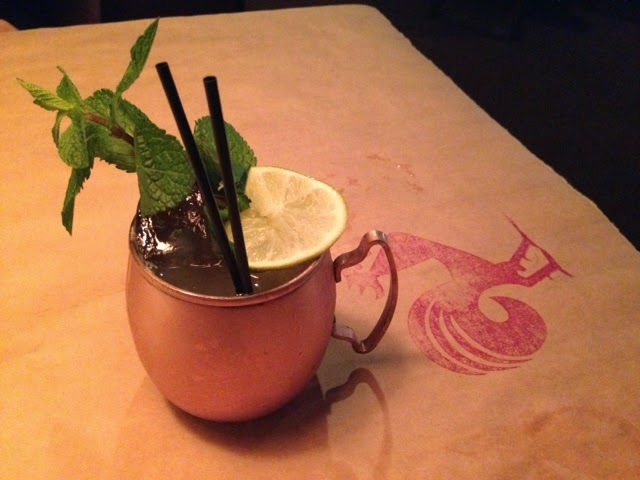 In other foodie news I had a delectable Moscow Mule at a new restaurant called The Lucky Rooster. This restaurant had a super interesting menu and yummy food. Highly recommended! 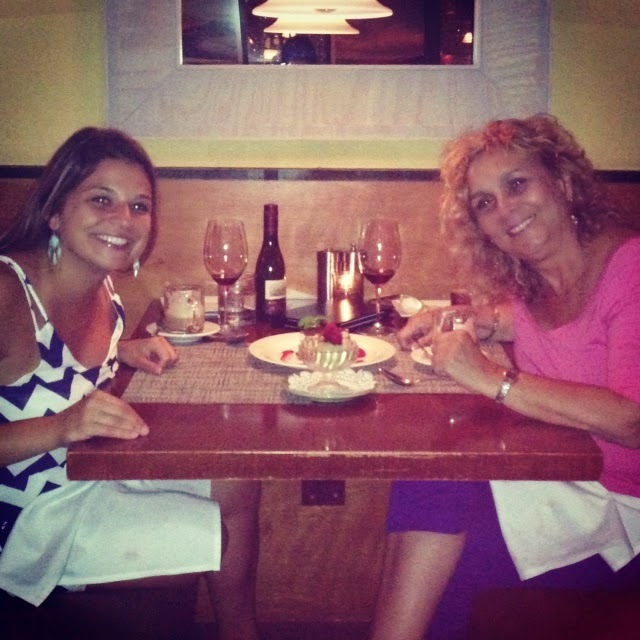 Of course my mom and I had to have an Italian meal while we were there. Luckily we found Michael Anthony's, a fixture on the island for over 15 years. If you're looking for delicious Italian at the beach, look no further! Here we are with our beachy-tiramisu. Hee hee. Another great mother-daughter trip in the books! Next up on my tour of Carolina beaches was the lovely Bald Head Island which we went to for my mother in laws 60th birthday. And what a celebration it was! 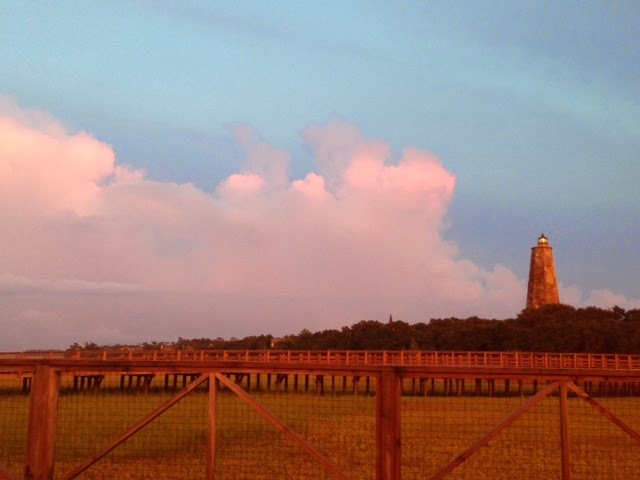 Bald Head is a small island off the coast of Wilmington, North Carolina. You park your car in Wilmington, hop on a ferry and start relaxing on a car-free, golf-carts only beach island oasis. The 5 mile island has wildlife, a few restaurants and bars, beautiful beaches and not much else. But what else do you really need? I could have stayed for weeks. This was our home for the week. There's my mother in law (the birthday girl!) 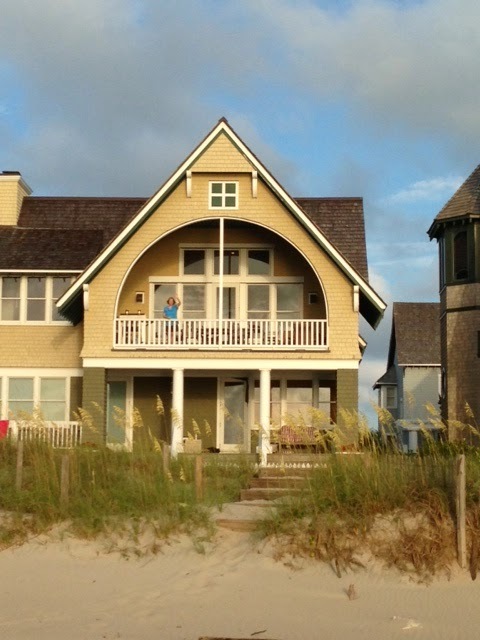 waving from the porch! If you follow me on Instagram (@jackiefo) you know that my adorable nieces Brooke and Claire were on the trip with us as well. 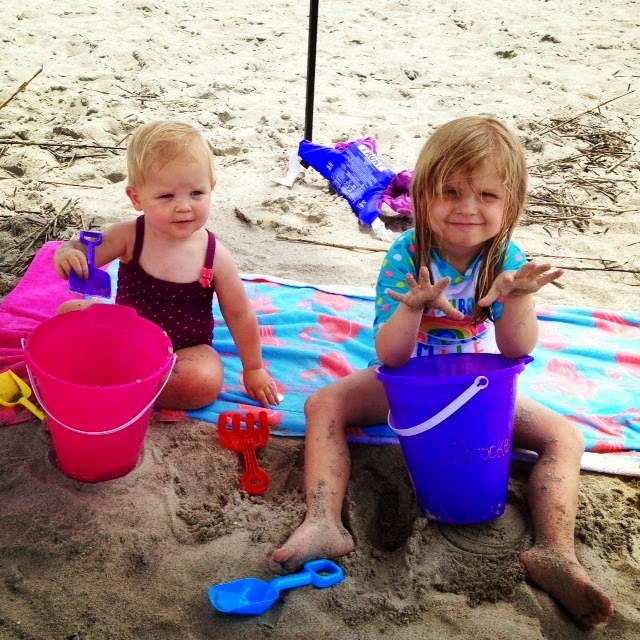 Here they are chilling on the beach. I mean could they be cuter? I apologize in advance for the cuteness overload. 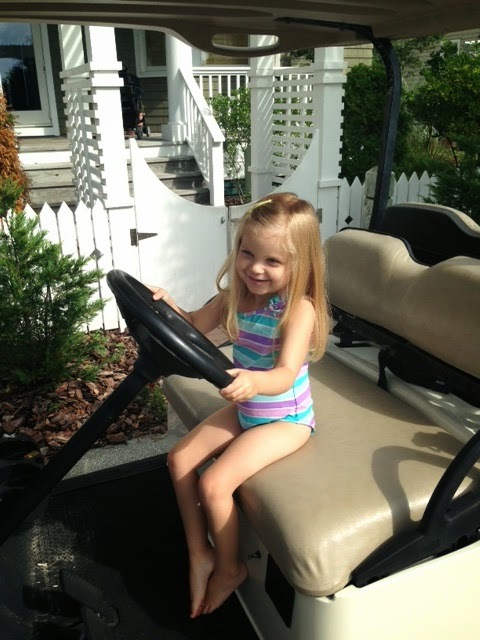 Brookie drove a golf cart! ...okay, no she didn't really drive a golf cart. But she looked totes cute pretending! 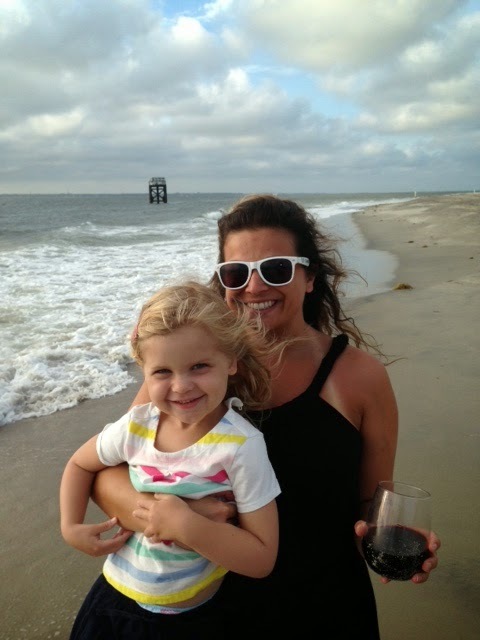 ...and here's Brookie and I. We climbed this lighthouse (Old Baldy - and no, I'm not making that name up)..
...and we kayaked in the salt marshes which was gorgeous. And kind of hard. Kayaking is a great arm workout you guys. 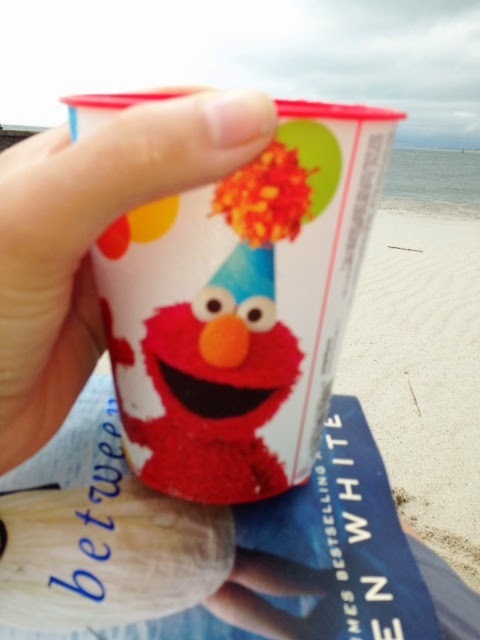 a) someone is always up before you to make the coffee and b) you can drink your cocktails on the beach out of cute Elmo cups. I also like it because sometimes they can be little detectives. What am I talking about? Well last year for our anniversary Mr. Fo got me an engraved Moon & Lola monogram necklace, something I'd been wanting for awhile. It's not diamonds, but it's not costume jewelry either...so I really tried to take good care of it. Of course in about two months I obviously lost it. After searching and searching the cat was out of the bag, Mr. Fo found out and that was history. 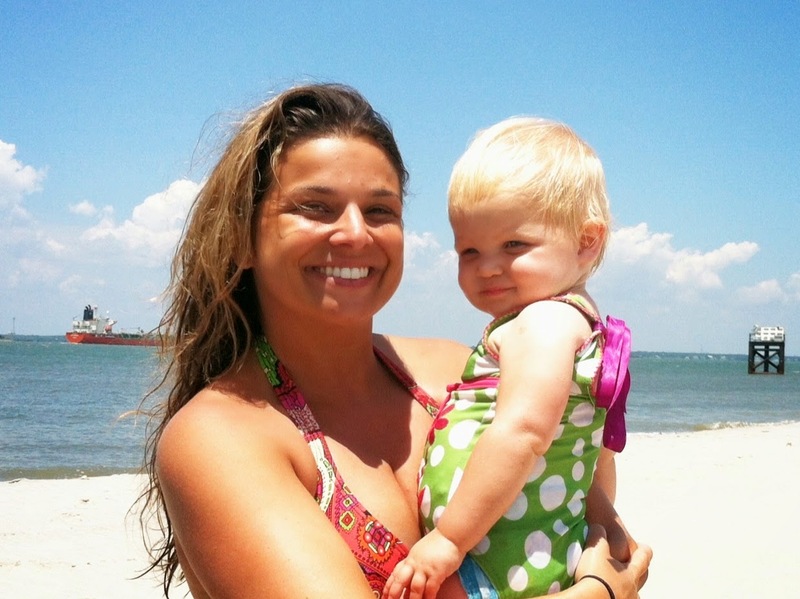 Until 6 mos later, Detective Brooke found it at Bald Head Island, a place I'd never been before...say whaaaat? 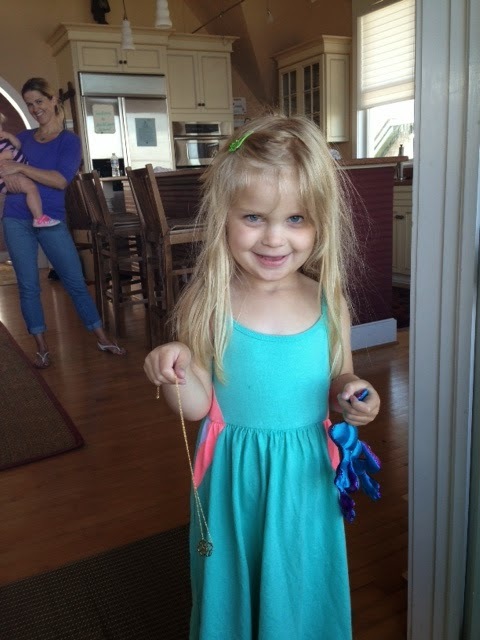 See her below all proud and adorable with my lost necklace! To make a long story short, the necklace must have been stuck in the lining of one of my bags that I took to the beach and it fell out while we were at Bald Head. Brooke found it on her way to say "goodbye to the beach" on our last morning there...could that be cuter? 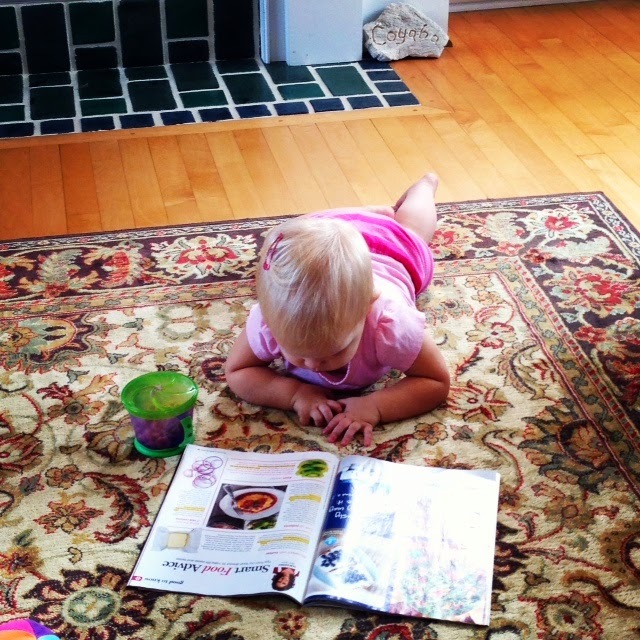 If she hadn't found it, it would really have been lost forever! 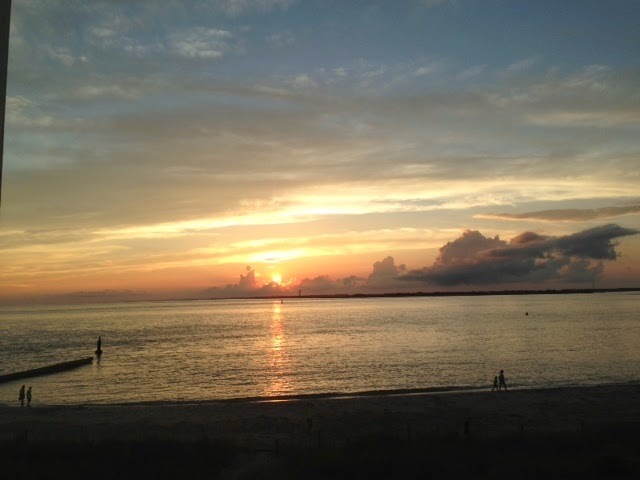 And with the missing necklace memory solved, the sun set on our Bald Head Island trip! I hope to go back again next summer! 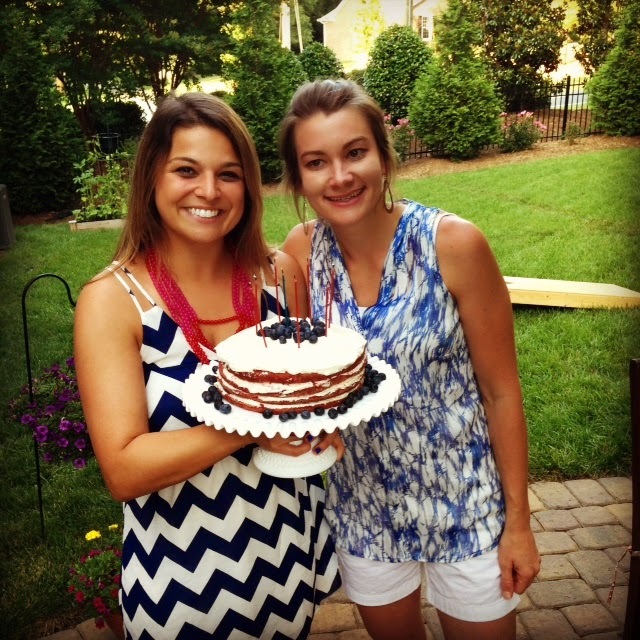 In other summer news, I celebrated the 4th of July with my BFF Kalle whose birthday is on the 4th. I made that cake I talked about HERE! It didn't turn out like the picture, but that's okay. In news that is pretty much the opposite of cake, I'm training for my first 10K race which is a 6.2 mile race. 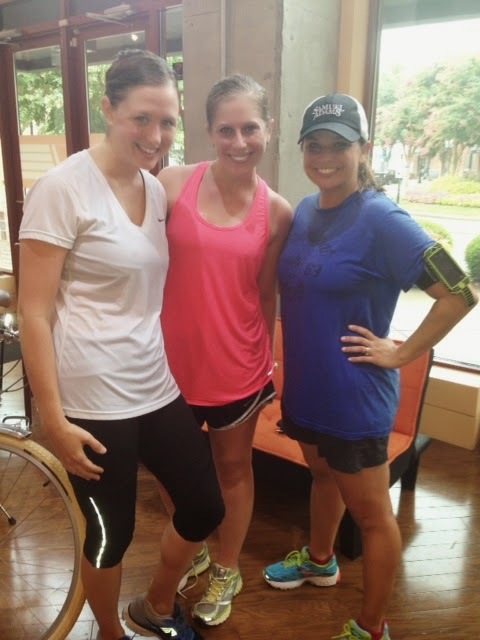 Here I am post rainy run with my mini-triathalon partners. And seriously, it was a total downpour for almost all of our 4-mile run. I'm toying with the idea of following up this 10K with a half-marathon (that's 13.1 miles)...can someone please talk me out of this craziness??? Finally, I've got lots of weddings and events coming up late summer and fall. 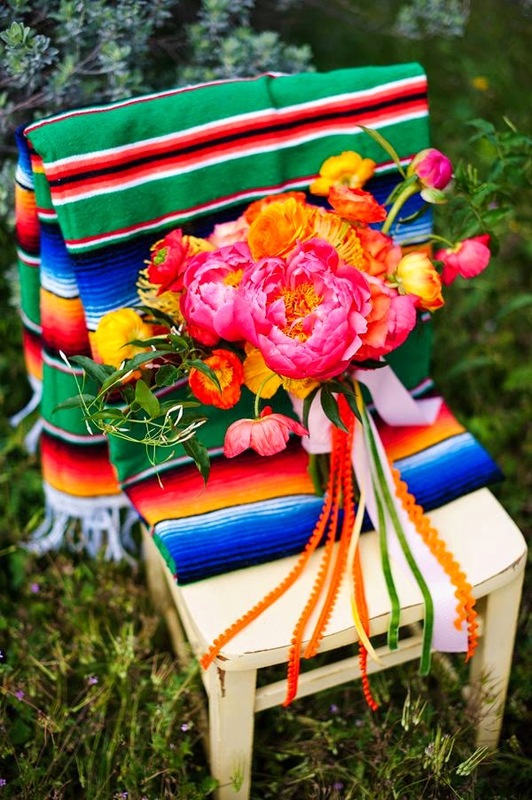 One of the most fun is a pink and orange Mexican Fiesta birthday bash I'm doing mid-August. Think a taco bar combined with a margarita bar...so fabulous, right? Combined with these beautiful, colorful flowers, I'm pumped to see how this fiesta turns out! Whew..I'm tired from that recap...its almost like I need to go back to the beach to relax from just talking about my summer. (First World Problems...) Hope you're summer has been great and I'll be back with regular posts this later this week! Looks like you're having a great summer so far! We were actually at Bald Head for Independence Day this year and are hoping to go back again next summer too. 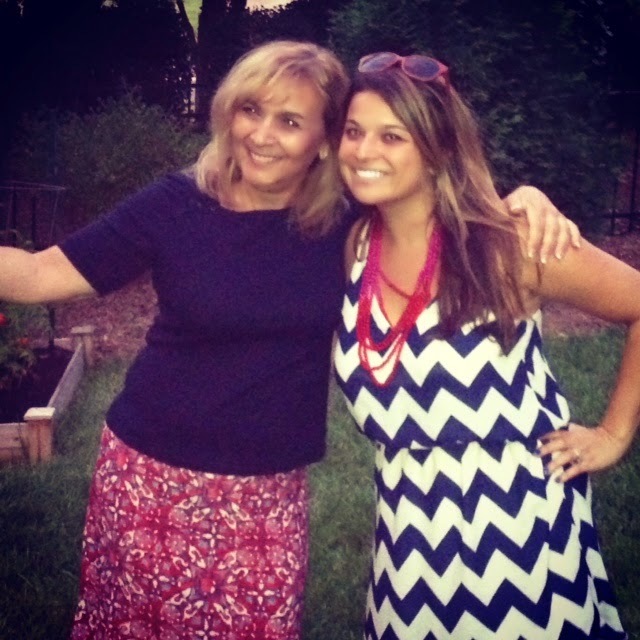 You and your mom look beautiful in that July 4th picture, and the mexican fiesta birthday bash sounds like it will be so much fun!